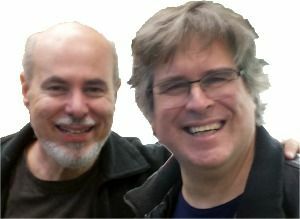 When I was a freshman at Cornell University some decades ago, I had a memorable teaching assistant for CS100, the entry level computer programming course taken by nearly every student in Engineering or Arts & Sciences. Gilles Brassard, a French Canadian, is now a chaired math professor at Université de Montréal and a preeminent cryptographer. He has also been inducted into the Royal Order of Canada. I am told that this is a bit like being knighted. In fact, this highest of civilian honors was established by Queen Elizabeth. Gilles was a graduate student at Cornell in the mid ’70s. Back then, public key encryption was a radical concept. Named for three MIT professors who described it, RSA is now it is at the heart of every secure Internet transaction. Yet, the new generation of cryptographers refers to RSA as “classical cryptography”. The radicals have moved on to Quantum Cryptography. Gilles and his collaborator, Charles Bennett, are the pioneers and leaders in this burgeoning field. No one else is even pretender to the throne. In its simplest terms, quantum cryptography achieves a secure communication channel because it relies on a stream of individual particles or “quanta” to convey information. If information is sent without any fat at all—just the minimum physics that can support the entropy—then any eavesdropping or rerouting of a message can be detected by the recipient. Voila! Perfect authentication, fidelity and security. Communication is secure because any attack can be detected. But when you begin to experiment with gating individual quanta of anything, you are typically working within a world of minute, elementary particles—things like photons or electrons with properties that change as they are measured. And the issue of measurement doesn’t just invoke Heisenbeg (he demonstrated that measurements change a property being measured), but also superpositioning of states that resolve only when they are observed. Say, Whaaht?! Perhaps, we are getting ahead of ourselves. The goal of this article is to share a strange, thoroughly unexpected, awe-inspiring, yet repeatable experimental results achieved by quantum physicists. I am no expert, but given a sufficiently lay explanation, marvel with me at a baffling outcome. It will shake your perception of reality. It suggests that science and math are not as black and white as you believed. So the math that imposes a universal speed limit also preserves our concept of reality. Sure, we can accept that energy and mass are fungible. We can even accept that distance and time are malleable. But time paradoxes defy common sense and beg for a solution that prevents them, altogether. When the most reasonable explanation of quantum entanglement collided with our understanding of special relativity, efforts to reconcile the two theories or arrive at a unifying model became known as the EPR Paradox, named after Einstein and his colleagues, Boris Podolsky and Nathan Rosen. Given assumptions considered axiomatic, the math suggests that information passes between entangled particles faster than light — in fact, instantaneously and at any distance. 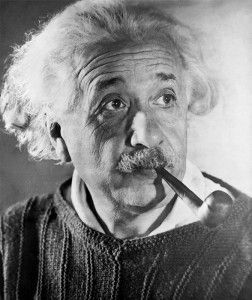 Near the end of his life, Einstein reluctantly acknowledged that there must be an error in math, or in basic assumptions, or that some undiscovered, rational explanation could resolve the paradox. Ultimately, he dismissed the notion of particles synchronously and instantly communicating with each other as “spooky action at a distance”. Just as his other memorable quote, “God doesn’t play dice with the world”, the two phrases are indelibly inscribed onto the great physicist’s epitaph. Before humans could travel to the moon (about 1.3 light seconds from earth), researchers tried to test Einstein’s theory. But even with precise instruments to measure time and distance, it was too difficult in the 1930s and 40s to create, transport and measure characteristics of elementary particles and then discriminate their behavior in such close proximity. Back then, Einstein assumed that we would measure wave collapse positions or particle momentum. But today, scientists are more keen on measuring another quantum phenomenon: particle spin or photon polarization—or particle destruction. These properties are more easily changed and measured. In the 1960s and 70s, the EPR paradox returned to popular inquiry when physicists John Stewart Bell—and later Lamehi-Rachti and Mittig, conducted experiments that supported Einstein’s original thesis. That is, faster-than-light communication seemed to take place. So, given appropriate experimental methodology, could it actually be possible to receive a package before it was sent? This is, after all, the disturbing conclusion of faster-than-light communication. Probably not. But the experimental result is more shocking than “Yes” and way more interesting than “No”. In fact, the outcome to recent experiments force us to confront our understanding of causality. It makes us wonder if reality is an illusion. It shatters our concept of time and space even more than Einstein’s more famous theory of relativity. Suppose that I create a pair of entangled particles. It doesn’t matter what this means or how I accomplish the feat. I wish only to test if a change to one particle affects the other. But more specifically, I want to separate them by a great distance and determine if a change to the local particle influences the remote particle instantly, or at least faster than accounted for by a light-speed signal between the two of them. I send an astronaut into space with a box that contains an experimental apparatus. The astronaut travels a distance about as far away from Earth as the sun. It takes about 8 minutes for light (or any message) to reach the astronaut. The box contains the “twin” of many paired particles back on earth. Each particle is trapped in a small crystal and numbered. The box also contains an instrument that can measure the polarization of any photon and a noisy inkjet printer that can be heard from outside the box. Back on the earth, I have the mate to each paired photon. All of my photons exhibit a polarity than can be measured and expressed as a 2-D angle with any value from 0 to 360 degrees. Our test uses polarized filters to measure the angle of polarity and is very accurate. We can record 4 digits of precision. For the purpose of this test, it doesn’t matter if our measurement affects a particle or even if it destroys it, because we can repeat the test many times. Clocks on the earth and at the spaceship are synchronized, and the ship is not moving relative to the earth. It is effectively stationary. On earth, each numbered photon is disturbed exactly on the hour. At the spaceship, an astronaut measures the polarity of a paired photon one minute before and one minute after each hourly event. We know that our photons all begin with a polarity of 15.48 degrees as measured relative some fixed and rigid orientation. The astronaut confirms this with each photon tested before the hourly chime. But at each hour (say 3PM in New York), we disturb a photon on earth (radiate it or pass it through a filter). This changes its polarity. Suppose that the earth lab determines that a photon was changed at 3PM from a polarity of 15.48° to a polarity of 122.6°. (Any new polarization will do). Recall that the spaceship is 8 light-minutes away. We wish to determine if photon pairs communicate more quickly than the speed of light. Question: If the astronaut tests the polarity of the paired photon at 3:01 PM (just after its mate on the earth has been altered), do you suppose that he will still detect the original spin of 15.48°? Or will he detect the new spin of 122.6°? To make things more interesting, let’s say that you cannot see the results. The box is sealed during the experiment, but you can hear the printer within the box as it prints the polarity after each test. Each time you run the experiment, you unplug the printer right after you hear it print a result. Then, you open the box and read the results. If you open the box less than 8 minutes after the hour (that is, less than the time that it takes light to travel from earth to the astronaut), the printout will always show a polarity of 15.48°. If you open the box after 8 minutes, you will always see a polarity of 122.6°. In both cases, the test was completed and the result was printed in the first minute after the photon on earth was shifted to a new polarization. Wait! It gets better! If you eventually learn to distinguish the different sounds that the printer makes when it records either result, it will always print 15.48°, even if you wait 8 minutes before actually looking at the print out. The fact that you found a way to ‘cheat’ apparently changes the outcome. Or at least, that is the conclusion that a reasonable person would make when presented with knowledge-induced causality. It’s either that—or we are all crazy. But quantum physicists (and cryptographers like Gilles) have another explanation. They point out that Einstein’s theory of special relativity doesn’t actually prohibit faster than light phenomena. It only prohibits faster than light communication. If the thing that happens instantaneously cannot be pressed into conveying useful information, then it doesn’t violate special relativity! That is, perturbations applied to one part of a quantum entangled pair are apparently instantaneous, but an observation or experiment on the remote twin will not produce a result that allows you to determine the new state until sufficient time for a light beam to pass from one to the other. Alternate explanation: This one is known as “Schrödinger’s cat”. In my opinion it was contrived to support both quantum mechanics and the EPR paradox. It states that the paired photon simultaneously existed at both polarities until someone opened the box or otherwise learned its state. That is, the observed result was not a real thing, until the observation forced it to collapse into reality. Common sense says that this explanation makes no sense! And yet, it neatly resolves a lot of mathematics. Go figure! Here is another explanation. I like this one better… Perhaps time is not an arrow that always moves in one direction and one speed. In contradiction to our intuition (based on a limited set of human senses), perhaps we are not continuously pushed forward at the tip of that arrow. –What if the science fiction about space and time being folded is true? –Or perhaps… Oh Heck! I’ll go with the first explanation: From our perspective, entangled particles change simultaneously, but mysterious forces of nature don’t allow us to observe the change until the laws of special relativity allow it. Why is that?… Because if we could observe information before it was ‘legal’ to do so, then we could change the past. The take away to this experiment is that just like wave velocity, some things move faster than the speed of light, but useful information cannot do so. For useful information, light is still the speed limit. Quantum physicists do not typically use my thought experiment, which I call Hidden Printer Result. Instead, they explain that Bell’s experiments prove that the spin measurement distant, entangled particles demonstrates they are connected in a spooky way (because the detected spin is provably opposite for each measurement)—but that Einsteien’s theory is preserved, because individuals measuring particles cannot know that their measurements are correlated until they communicate or meet. That communication is still restricted to light-speed limits, and therefore, useful information did not violate special relativity. The Hidden Printer Result is a way in which we laypeople could observe and marvel at the transmission of unbelievably fast, but ‘useless’ information. It is a valid experimental setup that allows us to better comprehend that which defies common sense. Gilles Brassard is not a physicist, but a computer scientist and cryptographer. Yet he has received awards that are typically given to physicists. His experiments and those by scientists around the world render a layperson like me dumbstruck. Of course, Gilles didn’t ship an inkjet printer into space with half of an entangled pair (my experimental construct). Instead, he measured and recorded a particle state in a way that is self-encrypted. He then he sent the encryption key from the distant particle that had been disturbed. Even though the key is just two bits (too little to contain a measurement of photon spin), the old spin was observed if the key was applied before the time it would have taken to classically transmit and receive the information. Just as with my experimental setup, results are almost too much to wrap a proverbial brain around. But truths that are hard to believe make great fodder for Lifeboat members. If my non-scientific, jargon free explanation gets across the results of the EPR experiment (actually, it is at the leading edge of my own understanding), then you are now as puzzled and amazed as me. Philip Raymond is Co-Chair of The Cryptocurrency Standards Association and CEO of Vanquish Labs. An earlier draft of this article was published in his Blog. • Wikipedia explanation of EPR Paradox. • Search for EPR Paradox, Bell’s theorem or quantum entanglement.